If you’re planning a trip to Berlin, Germany, keep in mind it is big, we mean really big. It’s the European Union’s second largest city (after London), with more museums than rainy days, and nearly 50% of it is green space or water? You’re going to need some time here, people. Ancient, modern, contemporary art and history; a diversity in culture that is reflected in hospitality, food, drink, and retail; you really are going to need some time. Plan on a guided tour to get the highlights of the sights and sounds and make sure you set aside time to stroll and enjoy the unique, natural surroundings of this major city. Berlin is a state entirely surrounded by the north-eastern state of Brandenburg. Although landlocked, one of Berlin’s best geographical features is its many lakes, formed by the Spree, Havel, and Dahme rivers. Museum Island, between the Spree River and the Kupfergraben, holds the Old and New Museums; the Old National Gallery; the Bode Museum; and the Pergamon. Multi-day passes are available as the art and history enthusiast must spend more than an afternoon with these fine collections. 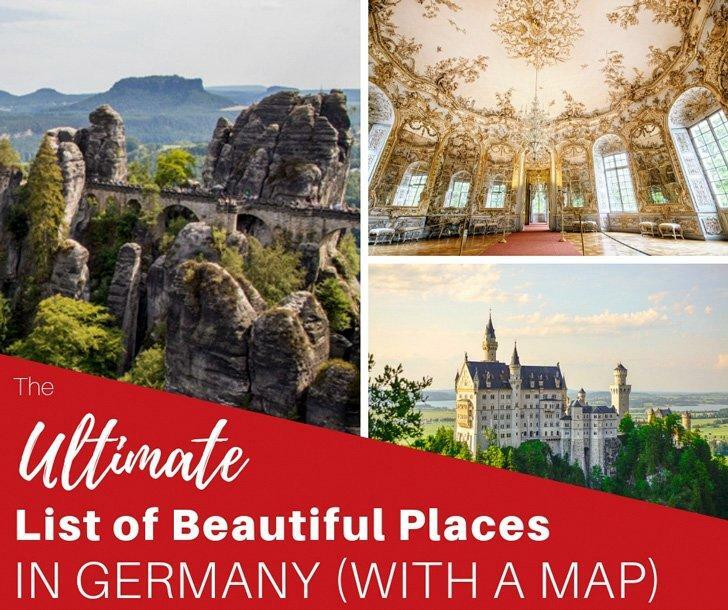 Potsdam, the capital city of the state of Brandenburg, and Berlin share a border; they also share a group of palaces and elaborate gardens accessible to the public and designated a UNESCO site in 1990. This 500-hectare expanse is managed and protected by the government and shows a great variety in 18 and 19th-century architecture. 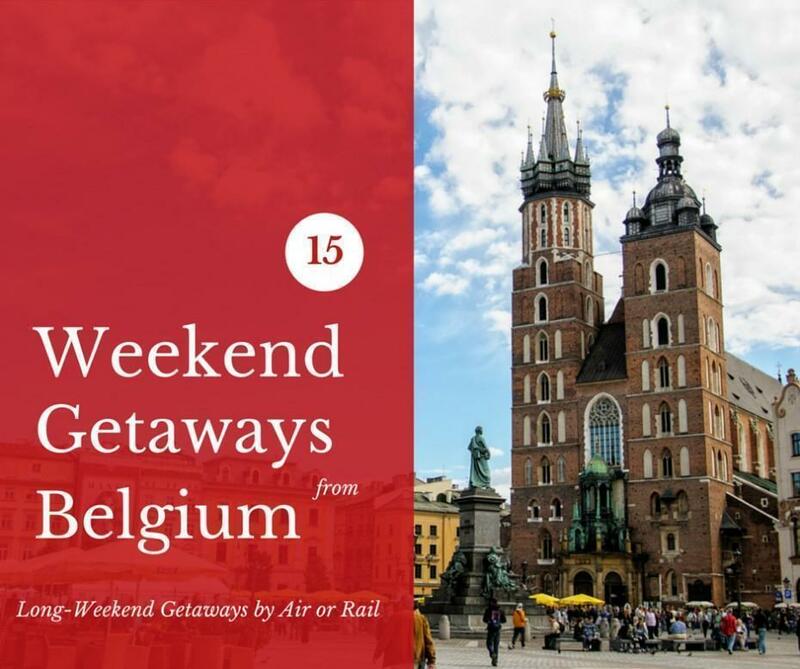 With so much to see and do, many visitors would benefit from a guided tour of the city to make sure you get to see as much as possible – particularly those on a short itinerary. There are many options, so take advantage of the advice offered by your accommodations. In 1963, the “Haus am Checkpoint Charlie” opened beside the famous crossing between East and West Berlin. The museum contains documents, photos and artifacts from Checkpoint Charlie. Visitors should be sure to explore the remains of the Wall while there. History buffs will be keen to compare the 18th century Brandenburg Gate to this more recent installation. No trip is perfect without good food and drink. Berlin was a huge surprise in this department. 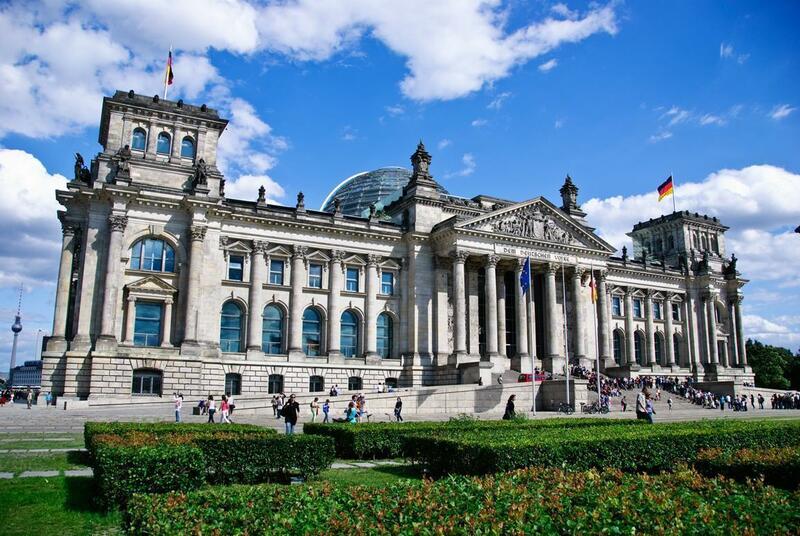 Although you must have the traditional Berlin meal of beer and currywurst, make sure not to overlook places like the Gendarmenmarkt, a site of great architectural and cultural significance. One of our favourites was at Restaurant Aigner, famous for their hearty beef soups. If you visit Berlin in the summer, like we did, we highly recommend having a drink or eating your entire meal al fresco in this beautiful square. Berlin is the biggest city in Germany, both in population (3.7 million) and geographical area; Berlin is the second largest city in the EU, after London. More than forty percent of Berlin is natural; covered in forest, garden, parks, lakes, and rivers. Ampelmännchen is a unique figure and one of the few surviving icons of East Germany. Guiding pedestrians across the street, wearing his hat, Ampelmännchen is an excellent example of the interplay of culture and history in Berlin. Diversity is a hallmark of any cosmopolitan city, and Berlin is no exception. True to many of its traditional trading route peers, Berlin’s population is proudly multi-national. Only one in four Berliners was born and raised in the city. Visitors may be surprised to find that many bars and clubs in Berlin still allow smoking; at least in permitted areas. Although there are federal laws regulating smoking in public, it is up to local government to regulate public use. But don’t worry, smoking must be in designated areas, and there is no smoking indoors at restaurants. Berlin inventions include the tuba, the Braille typewriter, and the thermos. The Berlin Fernsehturm (TV tower) is the tallest building in Germany (368 metres), and you can even have a meal from the top of it! Berliners are proud to tell you their city has more bridges than Venice! Although Berlin is quite a bit larger, it’s natural beauty is sometimes understated. Food is important to us, and it’s important to Berliners. Kebaps and currywurst are Berlin’s most famous foods, essential aspects of Berlin’s gastronomical map, and symbols of the city’s diversity. Alison says: “Berlin surprised us. While we expected a grey, drab city, still recovering from its dark and divided past, what we found was a vibrant metropolis, filled with creative spirit. While the memorials to the past are prominent and poignant, modernity abounds in Berlin. 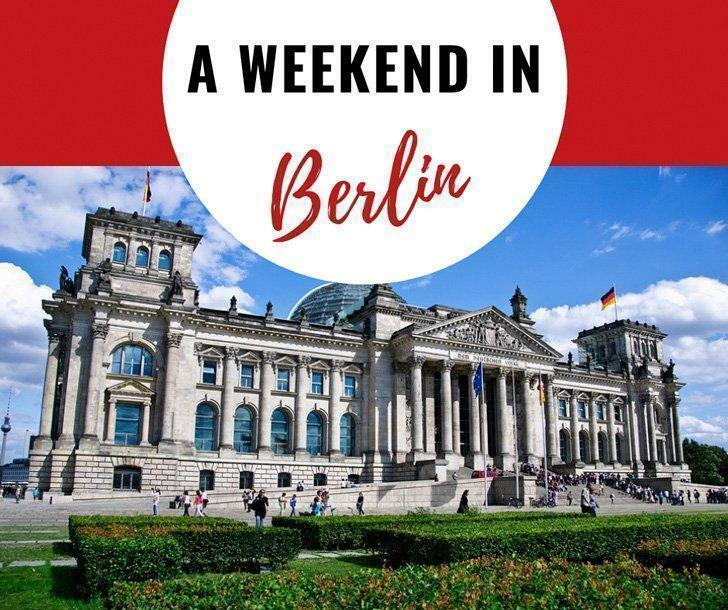 We spent a fantastic summer weekend in Berlin with dear friends, where, in addition to visiting some of the historical monuments, we also explored the city’s gastronomy and nightlife. I returned to Berlin a few years later, with a visiting friend, and, although the weather wasn’t as co-operative, Berlin was just as fascinating. Staying in a flat in a local neighbourhood added an extra level of understanding to the trip.